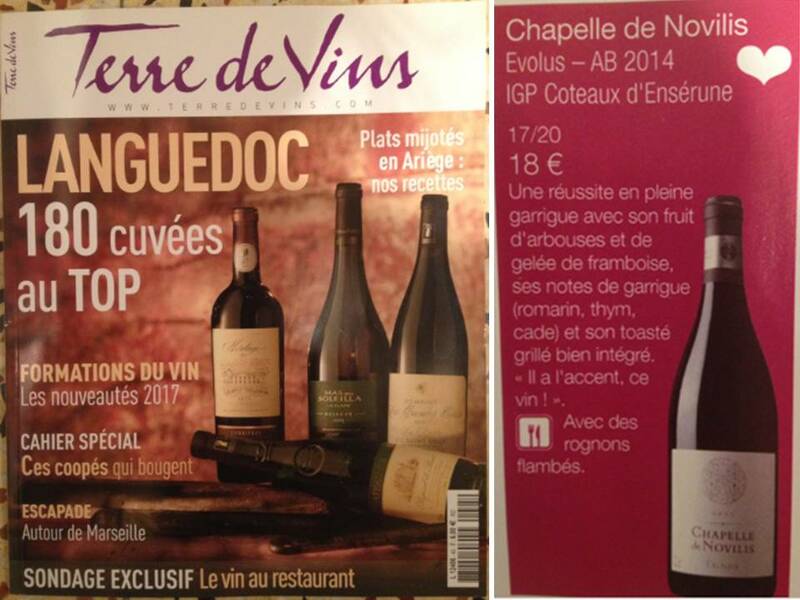 EVOLUS red 2014 classified among the Cuvées in the TOP of Languedoc by the magazine Terre de Vins with a note of 17/20 to which is added a favorite! 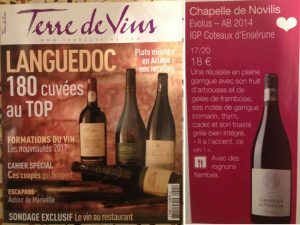 Further confirmation that the fine and elegant organic wines of CHAPELLE de NOVILIS, whose first cuvée dates only from 2012, are in the leading peloton of the wines of our beautiful region. 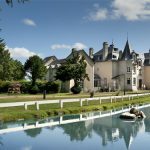 The whole of our work contributes, from the size to the harvest, in the framework of a sustainable agriculture and a biological vinification all in precision and patience.